Rose Pitonof Weene was a marathon swimmer from Dorchester, Massachusetts, a neighborhood south of downtown Boston. Her parents were Fanny Wolf and Eli Pitonof. They owned a grocery store. Eli was Rose’s manager until he died in the flu epidemic during the first World War. 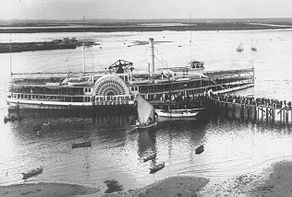 Rose had three brothers: Adolf (who was in the boat with her coach for her successful East 26th Street to Steeplechase Pier swim), Benny, and Louis. She had one sister: Ida. 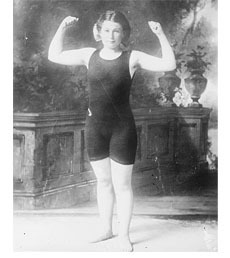 In 1910 Rose earned the title of Champion Long Distance Swimmer of the United States by winning the Boston Light Swim, an eight mile cold/open water event, in a record time of 6 hours and 50 minutes. Seven men started the competition with her, but did not finish. She was the first woman to ever complete the event. Her record stood for several years. 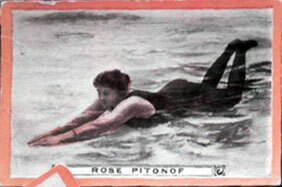 After her Boston Light Swim, Rose became a Vaudeville performer. 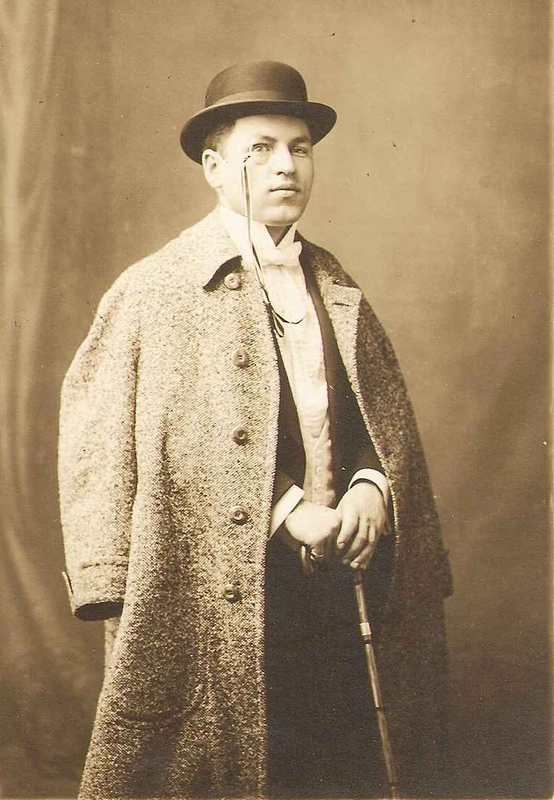 “My act was part of a larger Vaudeville program, but I was the headliner,” said Rose. “I know for a good, good many years I held a record for attendance. They built a tank of water on the stage, and I would exhibit some of my strokes and dives,” she said. 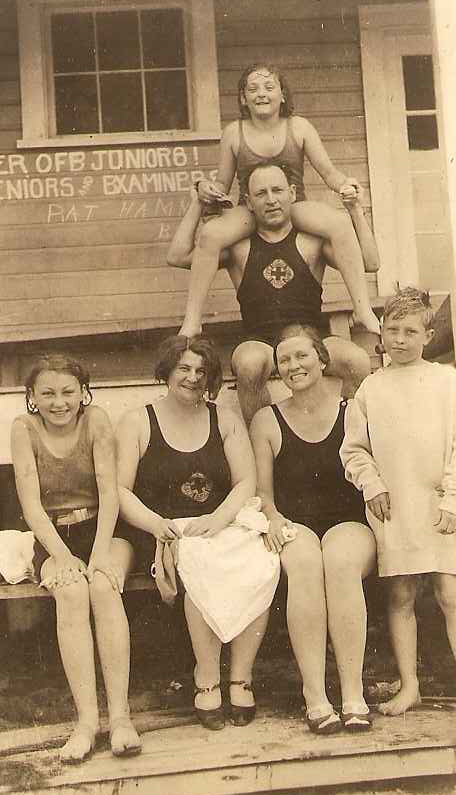 During the early 1900’s, many people did not know how to swim, and in many cases learning how to swim was actively discouraged among women. The General Slocum tragedy of June 15th, 1904 in which 1021 passengers died trying to save themselves from a burning boat that was banked in seven feet of water less than 20 feet from shore was a heartbreaking illustration of this situation. This was the worst disaster in terms of loss of life in New York City until the World Trade Center terrorist attacks on September 11, 2001. 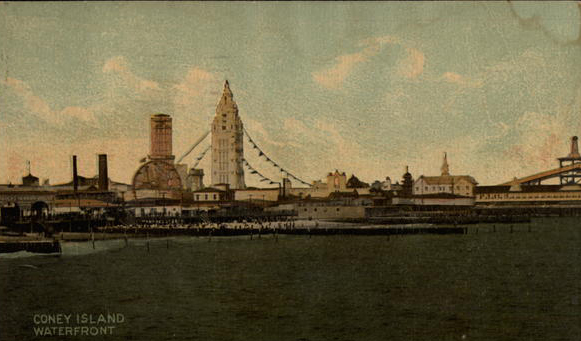 It is interesting to note that six years later, on her way to Coney Island, Rose swam past the East 5th Street pier that the ill fated General Slocum launched from. On September 18th, 1910, Rose swam from East 23rd Street to a half mile away from Steeplechase Pier, winning a race against Mrs. Clara Bouton. 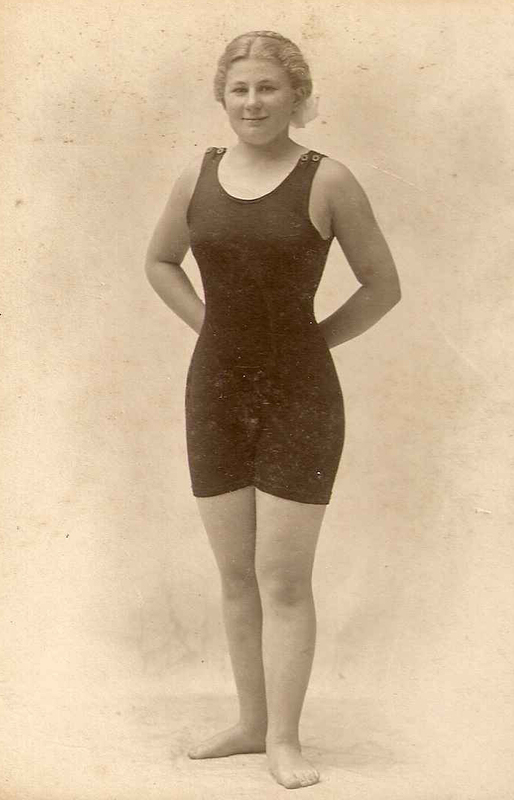 On August 13, 1911, Rose swam from East 26th Street to Steeplechase Pier, earning the woman’s title of Long Distance Swimming Champion of the World. The distance between the two points is 17 miles. It is estimated that Rose covered 21 miles during eight hours and seven minutes in the water. She swam mostly breast stroke, occasionally passing underneath piers. Her nutrition for the day was a chicken sandwich and a cup of coffee before she started her swim. It is estimated that a crowd of 50,000 were cheering for her at Coney Island. A year later Rose headed to England to attempt an English Channel Swim. In August 1912 she was forced to delay her Channel Swim until September due to storms. While she waited for better weather, she swam the Thames. In September 1912 she was again prevented from attempting the Channel due to heavy winds. 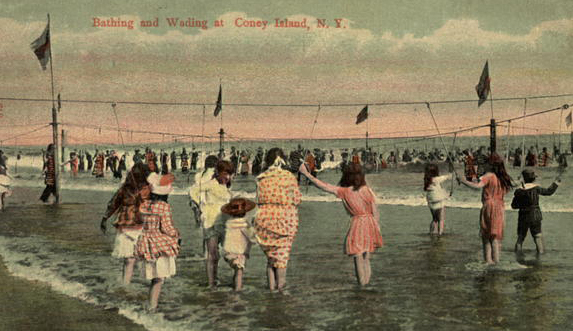 In 1913 Rose made a couple of attempts at swimming from the Manhattan Battery to Sandy Hook, NJ. On July 20th, 1913, the tide was against her and she was forced to abandon the attempt after two miles. On September 14th, 1913, just a quarter of a mile away from her goal, Rose was taken into the boat due to an attack of cramps. She had been in the water 12 hours and 35 minutes. During World War I (1914 – 1918) attempts at swimming the English Channel were curtailed. It was not until August 6th, 1926 that Gertrude Ederle became the first woman to successfully cross the English Channel. 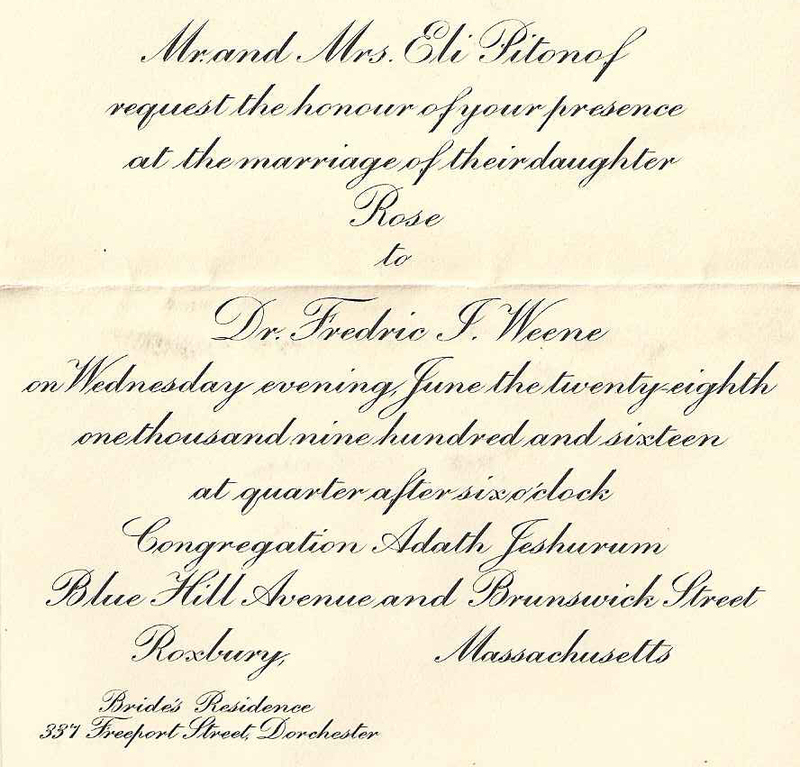 On June 28th, 1916 Rose married Doctor Fredric Weene, a Boston dentist. It is rumored that she gave up an opportunity to go to Hollywood in order to marry. The Weenes were a colorful, social couple who spent time with many of the celebrities of the era that they know from Rose’s Vaudeville days. They had a house in Onset on Cape Cod, and Rose taught swimming in the area. Rose and Frederic had two daughters: Evelyn and Elinor. Elinor became a champion swimmer. There were three grandchildren: Maxine, Sandy, and Carol. Rose’s granddaughters Sandy and Carol were swimming at 18 months. Rose and Frederic moved to Desert Hot Spring in AZ in 1948, later moving back to the Boston area. Rose died on June 15, 1984. She is survived by both daughters, all three grandchildren, and four great grandchildren.